The College Board needs to stop saying that SAT tutoring doesn’t help. Why do they even bother putting out a study guide if it won’t help? Or is it all about the money for The College Board? The College Board and SAT tutoring — now that’s a war that’s been going on for a while! The College Board continues to insist that tutoring doesn’t actually lead to increased SAT scores. We suppose that you can guess what we think about this. They eat a lot of bologna. Of course tutoring increases SAT scores. 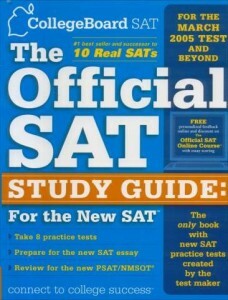 Why do you think students actually prepare for the SAT? Does The College Board really think that simply by sitting for the PSAT, students will be prepared to take the SAT? No. Of course they don’t think this. It’s just their PR spin. If only they could be a little bit more honest! They don’t want students to cheat on the SATs but it’s ok for them to state fiction? We don’t think so. If The College Board really didn’t think that students could increase their SAT scores with practice and tutoring, then why would they have offered a SAT administration to students participating in an expensive summer program at Amherst College? It doesn’t matter in the least that The College Board subsequently canceled this program. They canceled it because of all of the negative publicity their ill-advised decision generated. They were offering a leg up to advantaged students — students who receive tutoring for the SAT — by offering the test outside of the normal school year, when their tutoring was fresh on their minds and when their focus was squarely on the SAT. It’s high time that The College Board acknowledged that good SAT tutoring actually improves scores. Their PR spin goes against years and years of data-driven analytics. Are they even serious or are they joking? It’s sometimes hard to tell with The College Board. Let us know your thoughts on their PR spin by posting below. And let us know what you think about SAT tutoring.